The AUUF graciously donates the use of its space to Sundilla and other local organizations. Get 2019 started in a great way and be there on Friday, January 11 when The Ransom Notes play Sundilla. Showtime at the AUUF is 7:30; advance tickets are just $15 and can be found at Spicer’s Music, World Cup Coffee, and online at sundillamusic.com, and admission at the door will be $20. Free coffee, tea, water and food will be available, and as always attendees are welcome to bring whatever food or beverage they prefer. 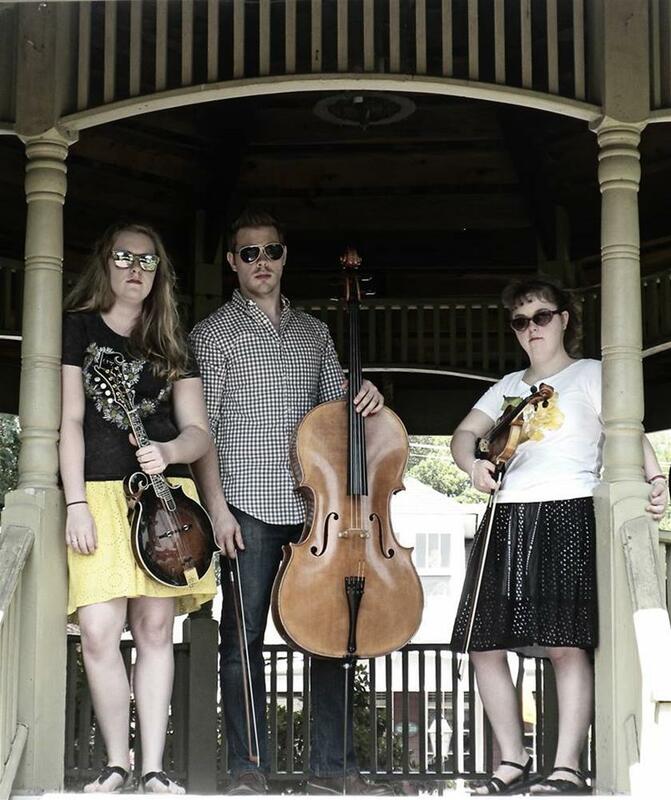 The Sundilla Concert Series & Radio Hour has been bringing the world’s music to Auburn since 1993, and they’ll kick off their 27th year on Friday, January 11 with a first-ever visit from The Ransom Notes, a trio of siblings originally from Colorado, though they now call Nashville home. Describing the Ransom Notes' sound in a single word is an impossible task. Schooled in the precision of classical music and steeped in homegrown tradition, The Ransom Notes epitomize the phrase "best of both worlds". Drawing inspiration from genres such as bluegrass, folk, Americana, and Celtic fiddling, this eclectic group has enthralled audiences for nearly two decades. The band never fails to amaze with its exceptional talent on a multitude of different instruments including fiddle, cello, mandolin, guitar, banjo, and dobro. In addition to instrumental prowess, The Ransom Notes inspire audiences with soulful vocals that are considered by many to be one of the best features of this talented ensemble. The Ransom Notes have been blessed with numerous opportunities to share their music across the country through performances at many prestigious venues and festivals including The Kennedy Center in Washington, DC, Musicians Corner Concert Series in Nashville, TN, Bristol Rhythm & Roots Reunion in Bristol, VA, Dollywood BBQ & Bluegrass Festival in Sevierville, TN, and countless others. In addition to their extensive performance resume, The Ransom Notes have also filmed several TV appearances for PBS, including the award-winning “Bluegrass Underground” series in McMinnville, TN, “Song of the Mountains” in Marion, VA, and “Music City Roots” in Nashville. Along the way, The Ransom Notes have had the opportunity to appear on bills with many notable artists including Paul Simon, Yo-Yo Ma, Steve Earle, Del McCoury, The SteelDrivers, and Rhonda Vincent to name just a few. After many years of earning a reputation along the Front Range of Colorado, The Ransom Notes relocated from its long-time home base to be at the heart of the music industry in Nashville, Tennessee. This change in scenery has continued to increase the popularity of the group, and you can catch them performing at venues from California to Virginia and everywhere in between. For more info, including videos, go to sundillamusic.com.